Some good news: The Environmental Protection Agency issued important rules to address air pollution from natural gas drilling, primarily fracking. Less good news: Bending to pressure from Big Oil, the measures won’t go into effect until 2015. The regulations will require that new wells capture certain smog-forming compounds, as well as methane, which is a highly potent greenhouse gas. The leakage of large quantities of methane is the reason fracked gas has been cited as potentially being worse for climate change than burning coal. Capture will happen through a process known as “green completions”. These primarily occur during the “flow back” period, when fracking chemicals and water injected into the ground return to the surface along with newly-released gas. It’s a good move for the industry as well as the public. The EPA has estimated that companies may make as much as $11-$19 million/year from selling the captured gas. Critics contend the regulations have disturbing loopholes. For example existing facilities can still release up to 1 ton of benzene per year from specific equipment. We must also remember that air pollution is just one of several concerns with fracking. The chemicals used during the process have the potential to devastate local water supplies. Yet fracking is still exempt from the Safe Water Drinking Act. Most disturbingly, the measures take effect on January 1, 2015 – two and a half years from now. Although the EPA proposed implementing the safeguards in as little as 60 days, the industry pushed back, claiming there wasn’t enough equipment on the market to enable them to make the change. Companies are allowed to continue flaring the gases until then, and there are incentives for adopting the measures early. Two and a half years is a virtual lifetime in the fracking world. 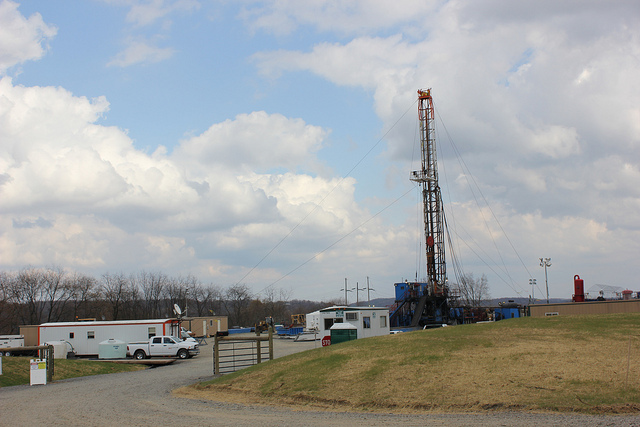 Consider the case of Ohio, one of the hotbeds of the fracking boom. In 2009, the state issued one fracking permit. In 2010, it issued two. In 2011, it issued 42 permits, 27 of which were issued between July and September. The Ohio Oil and Gas Association expects that by 2015, the state will have gained at least $14 billion in income. All of this considered, giving the industry a 2.5 year window to adopt to the new regulations doesn’t add up. The natural gas boom, and fracking in particular, is a hugely profitable enterprise, expanding at a rapid pace. Our ability to regulate the very clear impacts on communities and the environment should proceed just as quickly.